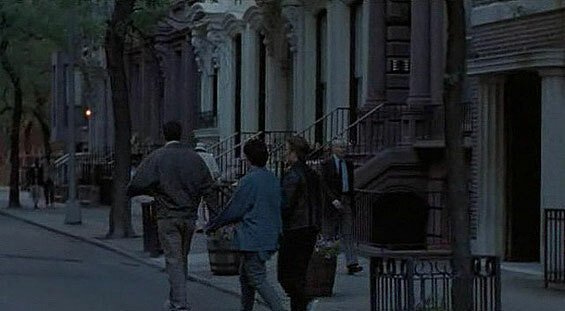 Tom (David Schwimmer) ia a drifting twentysomething who receives a telephone call out of the blue to be a pallbearer at the funeral of someone he supposedly knew in school. 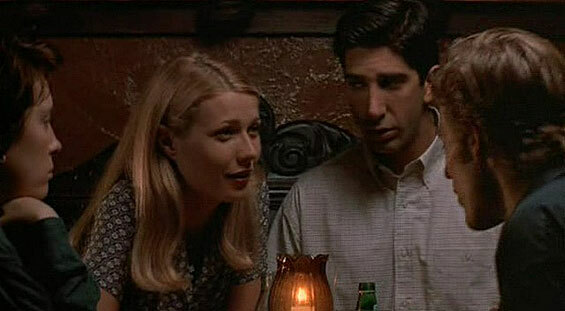 Trouble is, the caller has mistaken Schwimmer's character for someone else, but our hapless hero--who still lives with his mother at home--doesn't know how to say no. 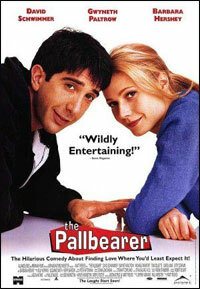 An encounter with the dead man's mother (Barbara Hershey) leads to a sexual relationship, while an old flame (Gwyneth Paltrow) from high school is suddenly on the horizon if only Schwimmer's loser character can quickly get his act together. 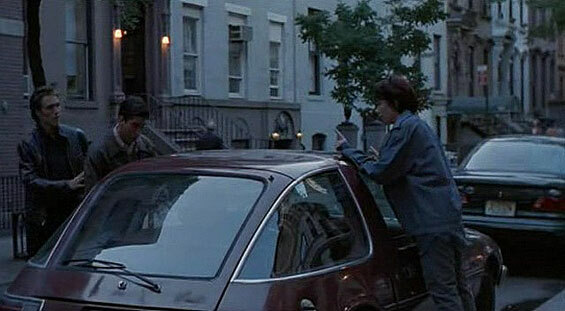 This umpteenth variation on the Oedipal conflicts in Mike Nichols's The Graduate doesn't have the imagination, vitality, or authority to take classic themes about growing up all the way to the finish line. 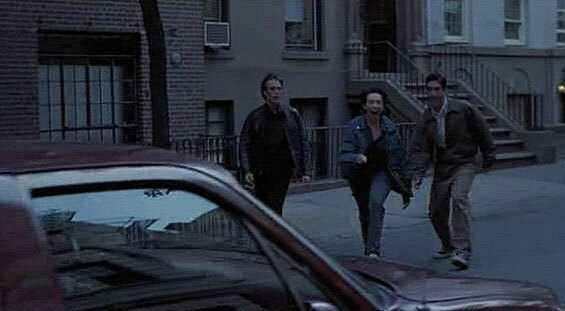 But in its brooding, comic way, it is honest about the difficulties of crossing the line into adulthood when one doesn't know how. 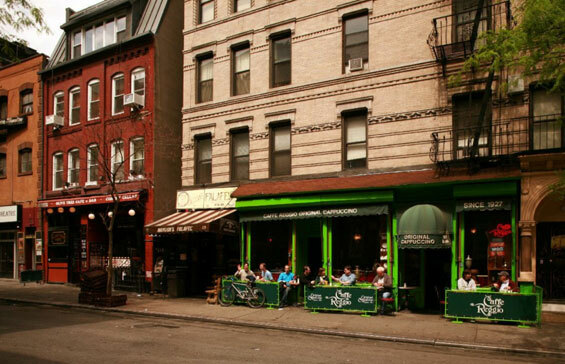 Caffe Reggio, 119 MacDougal Street and West 3rd Street, Manhattan. 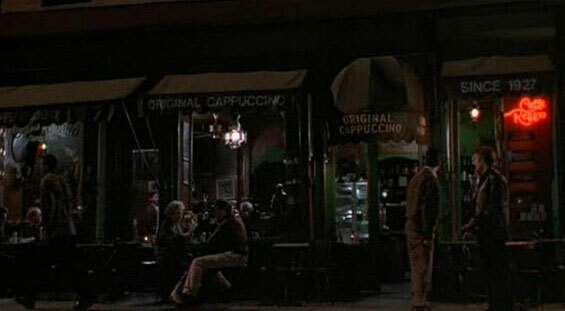 Caffe Reggio has also been featured in the 1971 version of the film, Shaft. 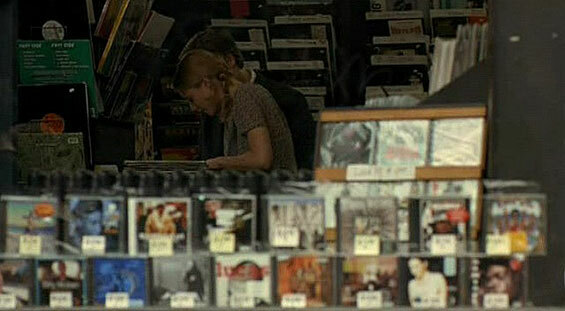 Julie at work in the record shop. 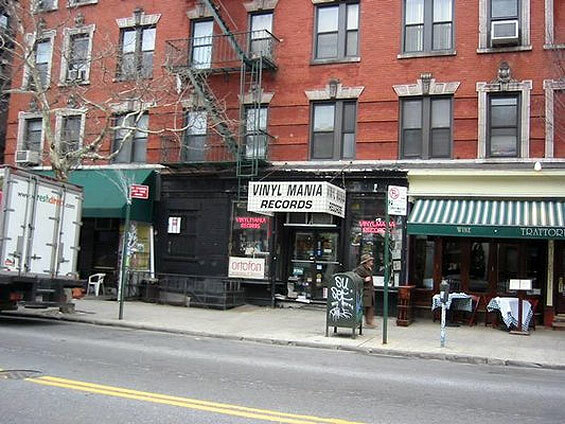 Vinylmania Records, 60 Carmine Street and Bedford Street, Manhattan. 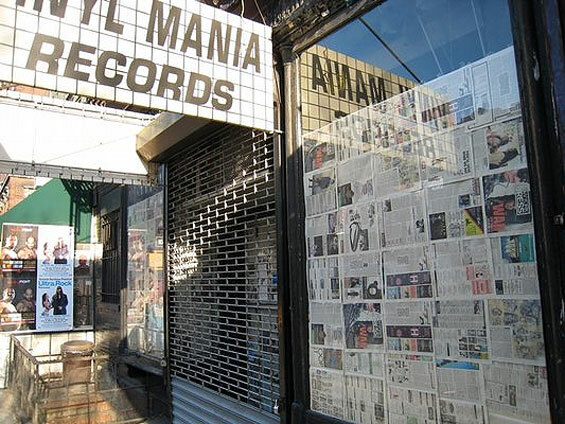 Vinylmania Records closed in 2007. Owner Charlie Grappone opened the Vinylmania's doors in 1978. He opened the store with a sparse selection of Rock records, but after crowds from the Paradise Garage started showing up, he realized his market was with the house heads. Vinylmania quickly became the goto spot for house in NYC, eventually spawning a record label under the same name, and it's legacy began. 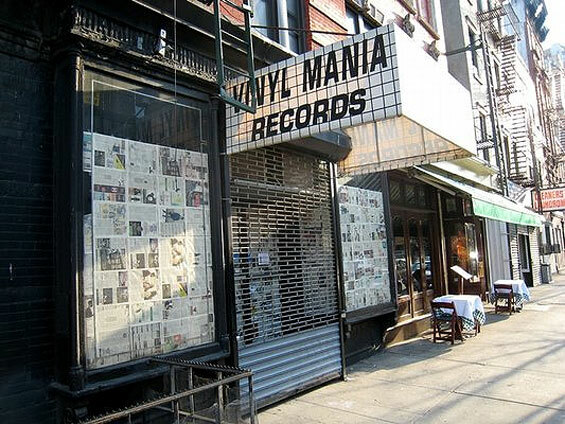 Sadly Vinylmania closed its doors in 2007 after almost 3 decades of business. 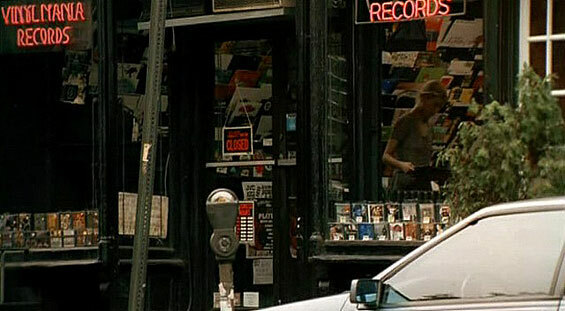 Charlie has since moved his inventory into Downtown 161, a record distributor in Lower Manhattan, where he opens one day a week for a select group of shoppers. otsoNY Comments: Special thanks to Doug Douglass for finding this location. 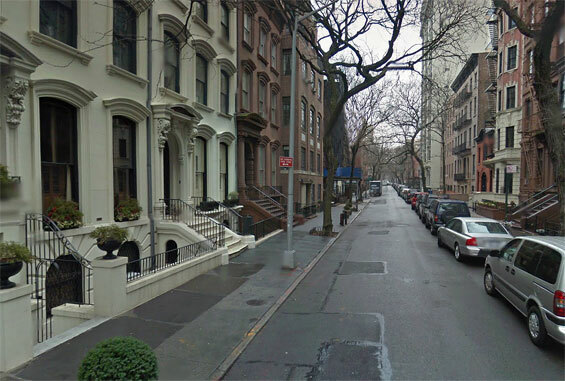 Columbia Heights (btw Pierrepont Street and Clark Street) Brooklyn.